If you could have a drink with anyone in the theatre world, who would it be? 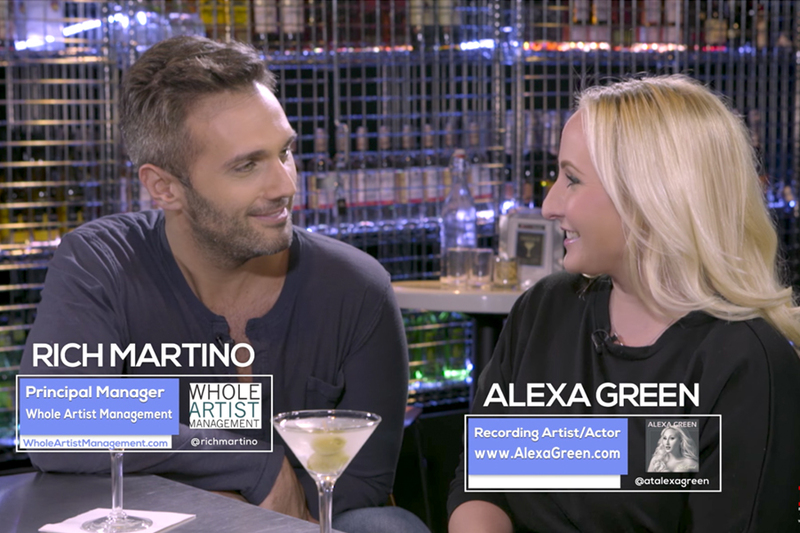 In this episode of Broadway Bartender, host Anthony Caporale welcomes 2016 musical artist and actress Alexa Green to the bar! Alexa Green has become one of the most sought after new voices and rising stars of this generation. She is best known for her turn as Glinda in the Los Angeles and San Francisco companies of the hit Broadway musical Wicked. After playing to sold out audiences for nearly two years, she went on to appear alongside Neil Patrick Harris and Patti LuPone in the international cinematic release of Stephen Sondheim’s Company with The New York Philharmonic live from Lincoln Center. Alexa has toured both nationally and internationally as a singer and actor, known for her wide vocal range and dramatic musical flexibility. 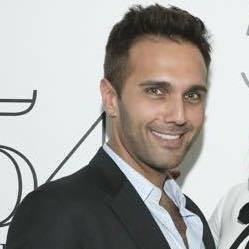 Rich Martino is the Principal Manager at Whole Artist Management. Having always had a great passion for the arts Rich has made his mark as a manager, producer and director. As a Producer, Rich has been involved with G’DAY BROADWAY - The Music of Australian Composer Matthew Lee Robinson at NYC’s Metropolitan Room, THE STORY OF A GIRL - featuring Tracy McDowell (RENT, MOTOWN) at Feinstein's/54 Below, BREAKING UP IS HARD TO DO (Branson, MO), as an Associate Producer of ACE (Signature Theatre, VA) and currently holds an interest in the Broadway revival FIDDLER ON THE ROOF (The Broadway Theater). As a director he has helmed productions of AIDA, THE ROCKY HORROR SHOW, RENT, TICK TICK…BOOM. Most recently Rich directed the Westchester County Premier of NEXT TO NORMAL. As a performer, prior to making the permanent transition to the other side of the table, Rich appeared in numerous productions throughout New York. In addition to his work in the theater, for nearly a decade, Rich served as Vice President of Operations at Fareastco, Inc., a brokerage firm specializing in commodities and Bakery Ingredients. Currently he spends his early mornings teaching indoor cycling at SoulCycle. Rich was born and raised in New York and holds a B.A. in History with a concentration in Law from Hofstra University. Cover with a mixing glass and shake until the tin is frosted. 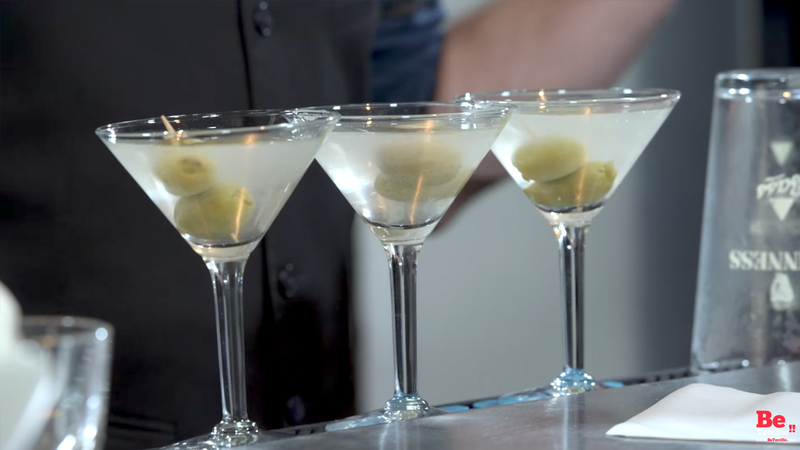 Strain into a cocktail glass, and garnish with olives to serve. 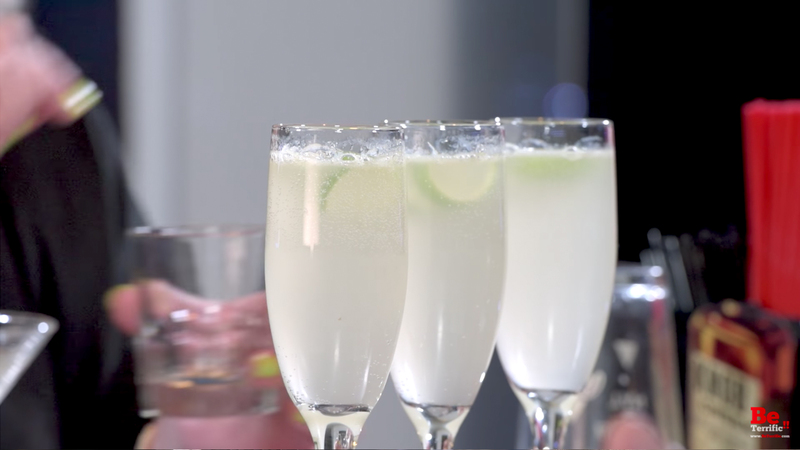 Top off with chilled sparkling wine. Garnish with a Lime Wedge to serve.